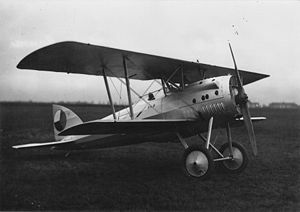 The Aero A.12 was a Czechoslovakian biplane light bomber and military reconnaissance aircraft manufactured in small numbers shortly after World War I. Although reminiscent of the Hansa-Brandenburg-designed aircraft that Aero was building during the war under licence as the Ae.10, the A.12 was the company's own design. It is perhaps most significant as the direct ancestor of the highly successful A.11 and its various derivatives. An example of the type is preserved at the Leteck� Muzeum in Kbely.